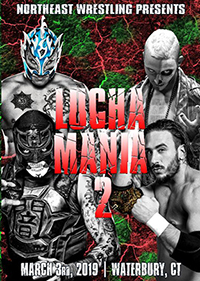 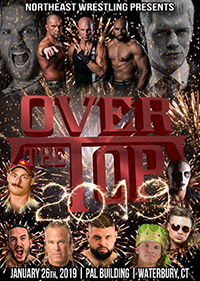 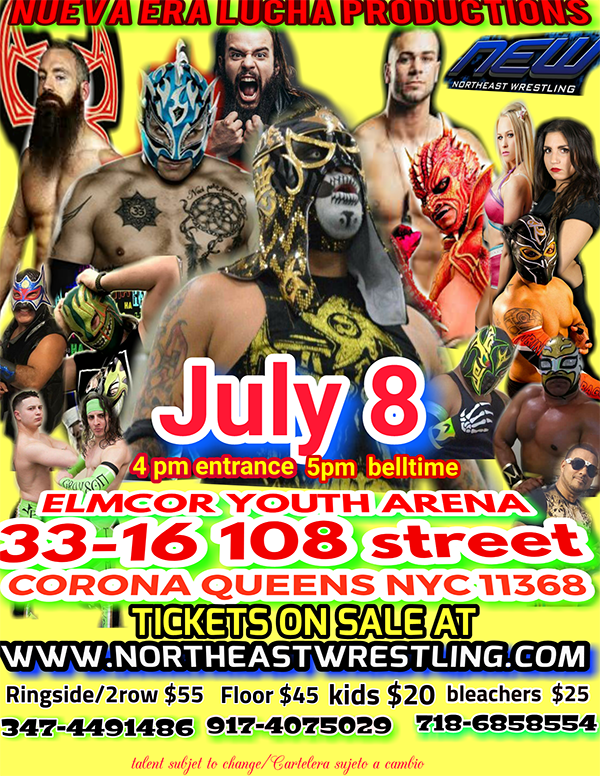 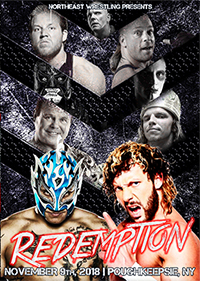 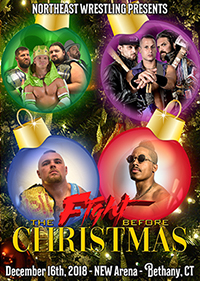 ELMCOR YOUTH ARENA » 7/8/2018 » QUEENS, NY » 5 P.M.
Northeast Wrestling and Nueva Era Lucha Productions come to the Elmcor Youth Arena (33-16 108th Street Corona, New York 11368) in Queens, NY on Sunday, July 8! 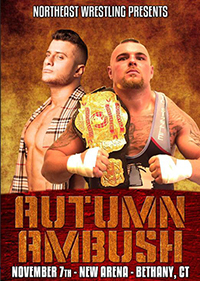 Bell time is 5 p.m.
CARD TO BE ANNOUNCED SOON . . .